As part of my visit to Nantucket last month, N Magazine created a nice three-page photo essay spread, and morning host Sandy Walsh of FM97.7 in Nantucket was kind enough to have me on her show for a short chat on 8 July. It’s worth stating that the N Magazine spread was stunning. All too often, I’m disappointed with colour correction and/ or print quality in periodicals and books, but that was definitely not the case with N Magazine. 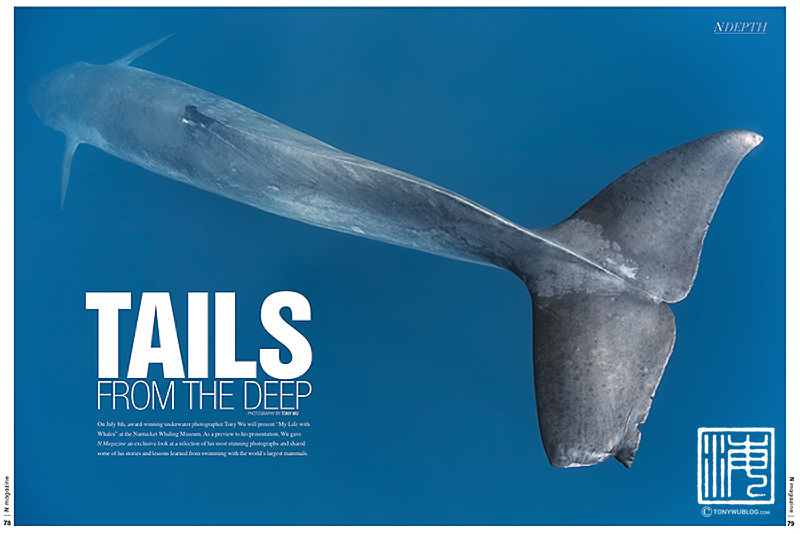 The layout is classy, and the colour correction/ print quality of the magazine jaw-dropping…particularly impressive given the difficulty of reproducing blues in CMYK-based printing and the fact that the magazine is not a specialist nature/ underwater publication. Here is the PDF if you’re interested in taking a look, and following is a recording of my chat with Sandy on WACK.